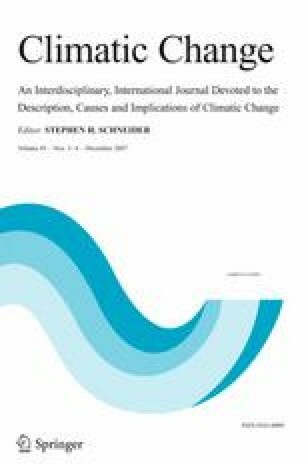 This paper reviews regional climate knowledge and vulnerability in the northern Mexico San Pedro River Basin, with a focus on water quality, quantity, and management issues on the Mexican side of the border. A discussion based on the available literature is supplemented by a survey assessing concerns about water and the quality and usability of climate and hydrologic information available to water managers and communities. The surveys indicate that the central concern for urban residents is the lack of reliable potable water due to frequent service breakdowns–with climate change and variability, specifically drought and high temperatures, as contributing factors. Water managers desire appropriate meteorological and hydrologic information to improve planning strategies, but access to this information remains limited. Considerable disagreement exists about who should pay for previously free or low-cost water and wastewater treatment. Urban users have little incentive to conserve because of the present flat, low rate and frustration with service. In rural areas, while a majority of ranchers recognize that variable climate and water loss could increasingly jeopardize their lifestyle, they seldom use meteorological information in planning or modify their water consumption. Climate vulnerability also includes potential for serious environmental health issues due to the presence of heavy metals and organic contaminants in the San Pedro.